This is going to be one of those posts where I dearly wish Blogger had a smellovision app installed to let you lovelies experience just how gorgeous this scent is. You're going to have to imagine for now or, y'know, hare out to your local Philosophy stockists and pick some of these floral wonders up. I've heard a fair bit about Philosophy in the past but have never actually owned any of their products, which is pretty much unheard of for me, considering the whole product piggery affliction I've got going on. That's why I was thrilled when the courier man dropped these beauties into me last week for review. Field of Flowers is the newest addition to the Philosophy line, the fresh, floral scent of peony the most notable bloom but it's accompanied by so many others. It's a soft feminine scent and I just can't get enough of it (I had a shower and used the rich body cream this morning and am, still, inhaling deeply as I type). It can be very difficult to get a floral scent right and even more so for me to find one that's not too clawing or chemically scented, Philosophy seem to be bang on the money with Field of Flowers in terms of both the name and the bouquet. But how do they fare as products? The thought of a shampoo, shower gel and bubble bath in one had me dubious as I'm a lover of specific hair care brands but I have to admit I like it. Lathering up quickly and rinsing out effectively, this left my hair squeaky clean with a noticeable soft floral scent into the following day. I've used it several times now and haven't noticed any build up or residue as can happen with multi functional cleansing products. The Perfumed Body Lotion is rich and creamy and absorbs easily leaving a light sheen on the skin. I had thought this might be a little overpowering but again was pleasantly surprised. 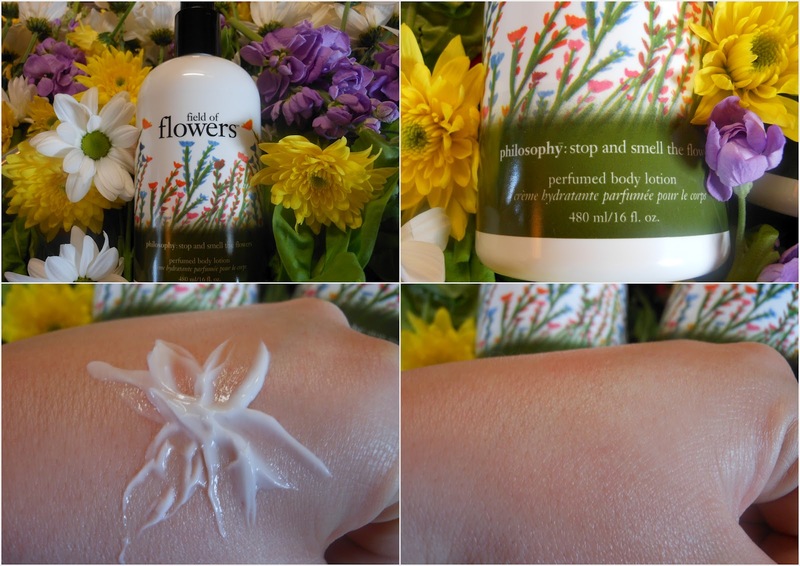 Used after your shower this lotion works to seal in the Field of Flowers scent, the perfume and softening effects are still noticeable after a full days wear, which is a bonus if you're running right from a shift in the office or on site, straight out the door in the evening. Another plus for me with this range is just how pretty they are, they'd make a welcome addition to any bathroom or a beautiful gift for a lady in your life that enjoys all things floral and feminine. The only downside I can foresee with the range might be the list of ingredients, while they in no way affect either me or my enjoyment of them, (or the lads' for that matter) those with sensitive skin types might want to check the ingredient list for possible triggers before purchase. 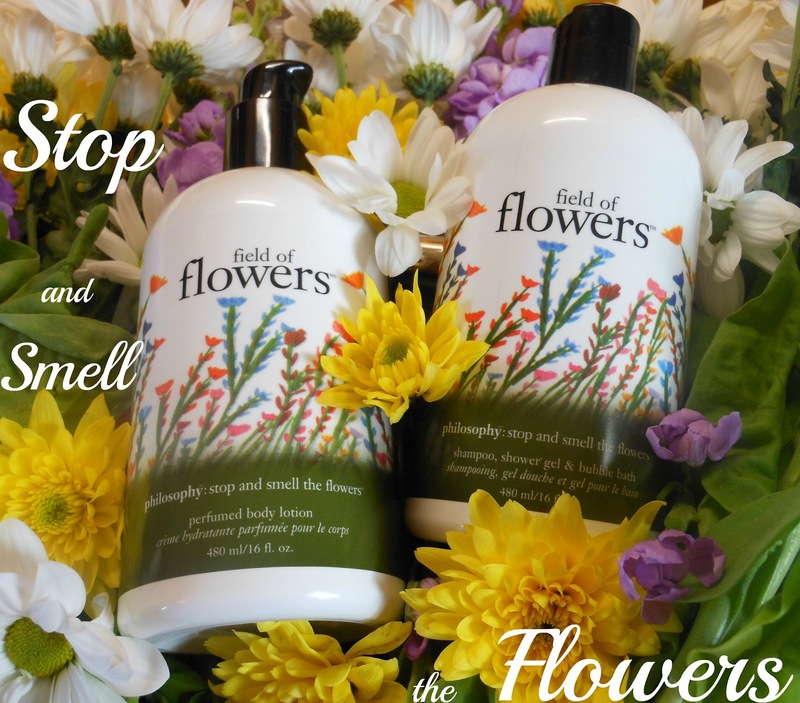 Available now from Arnott's or online Philosophy stockists, Field of Flowers has to be inhaled to be believed.